Gain a firm grounding in the principles of automotive engineering with experience of cutting-edge technology. Learn how to solve biomedical problems using Engineering methods and tools. Develop specialist knowledge of electrical and electronic engineering devices, processes and systems. 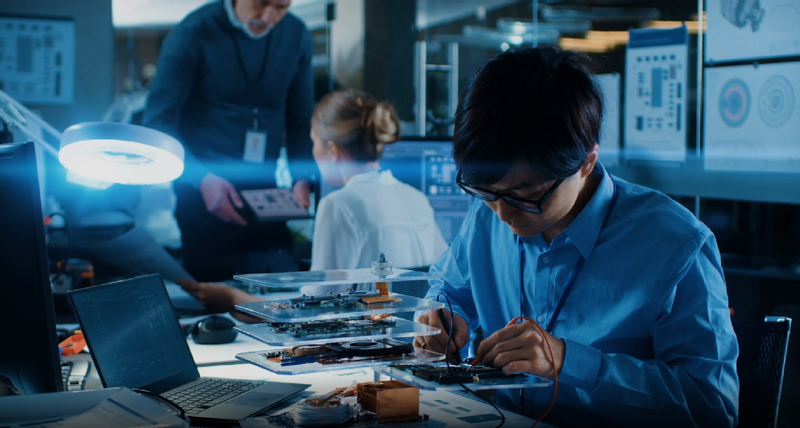 From smart phones to satellites, learn how Electronic Engineers play a pivotal role in the design and manufacture of a vast range of products and systems. Develop engineering expertise alongside knowledge of the full range of business functions. Gain an in-depth understanding of engineering principles across a wide range of disciplines. Develop a deep understanding of manufacturing processes and mechanical design principles. Develop the expertise to design and create sustainable, cutting-edge technologies. Study principles across Engineering disciplines and interactions between systems. Students get many opportunities to develop their learning through individual and group projects. The MEng final year group project simulates the multidisciplinary working practices you will experience in your career. Read about Warwick Submarine and the Warwick University Satellite Project. Choosing Warwick will give you the opportunity to maximise your career prospects. Our dedicated Placements and Internships Officer will work with you to identify opportunities for work experience and study abroad. Want to see what our facilities look like? 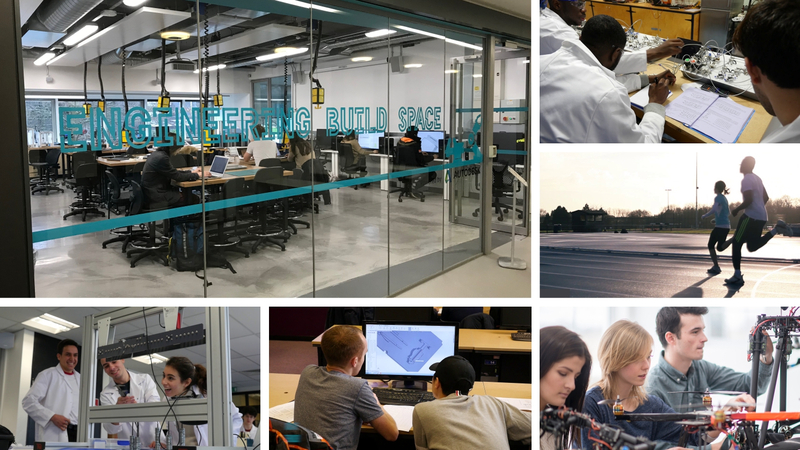 Click on the link below to watch our 360 degree virtual tour of the School of Engineering. Please note that if you are watching this video on an IPhone you will need to watch via the YouTube app rather than through the Safari browser. 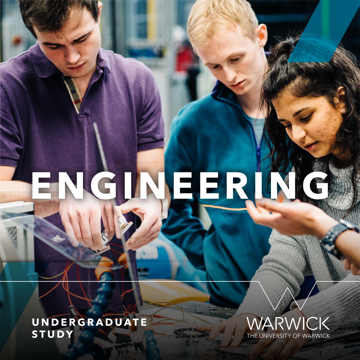 Studying Engineering at Warwick has given me the opportunity to make some life-long friends, broaden my understanding of Engineering and constantly challenges me to learn new things every day.